Don’t See Your City Listed? Don’t Worry! Select other Washington Cities from the List Below or CALL NOW to Find an Emergency Dentist Near You!! Does the dentist offer 24×7 care? If not then do they offer after hour care? What are other people saying about the dentist? Is it good or bad? Will the dental practice be willing to take on any emergency? Of course, our experience in dealing with our visitors has taught us that you are also interested in a number of other topics (like how to save money at the dentist and where your state ranks in oral care.) So, we have incorporated these extra topics on this page to give you a full experience. However, if you are in severe pain and need to visit an urgent care clinic immediately then we recommend you skip down to our “Washington Dentists By City” section below. For now, we are going to start by talking a little bit about your state. When you look at Washington through an oral health lens what do you expect to see? That is a question that we are going to be answering here today. First off, we want to say that we are basing our opinion off statistics found at StateHealthFacts.org. These statistics will give us insight to how seriously people in your state take their oral health. We gauge this by looking at the percentage of people who visit the dentist. Typically, the higher the number the better the state will rank compared to the nation. We would classify Washington as an above average state in oral care which we think is absolutely fantastic. It is no secret that Washington isn’t a small state population wise and states the size of Washington don’t tend to do as well as you did so congratulations for that. This site is specifically about dental emergencies so we are going to focus on tips for going to the dentist in that context. We can’t really give you the advice like “you need to take care of your teeth” because chances are you are in an extreme amount of pain right now. However, what we can do to make you feel a little better is to make sure you know how to save money during your dental visit. First off, we need you to realize something. Emergencies are not cheap. In fact, we have heard about some emergencies that cost over a thousand dollars. Of course, those stories usually accompanied by the “but I didn’t have insurance” phrase. So, our biggest advice to you is to make sure that you don’t walk into the dentist uninsured. Luckily, dental insurance is not too expensive in your state and to prove that point we did some research on our own utilizing EHealthInsurance.com. 19 plans are available to you if you live in Washington. The lowest priced plan only crossed $15.56 per month. The priciest plan cost $62.66 per month. The average price for a dental insurance plan in Washington is $30.84 per month. If you are in extreme pain then we can help and we can help you quite quickly. We have divided up the dentists in your area by city below. All you have to do is find your city and we will provide you with everything you could possibly need to know about the emergency dentists in that area. Then the question simply becomes finding the right fit for you personally. Good luck! 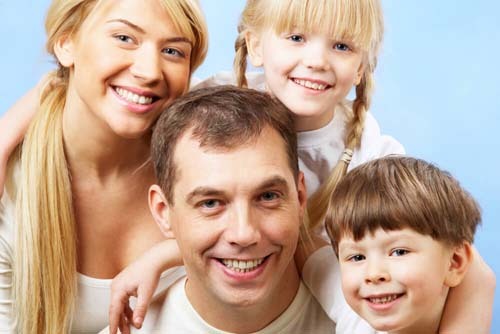 Washington Immediate Care Emergency Dentists - Click to Call Now!